Nope! I’m never going to let go of the Sega Dreamcast hacking. 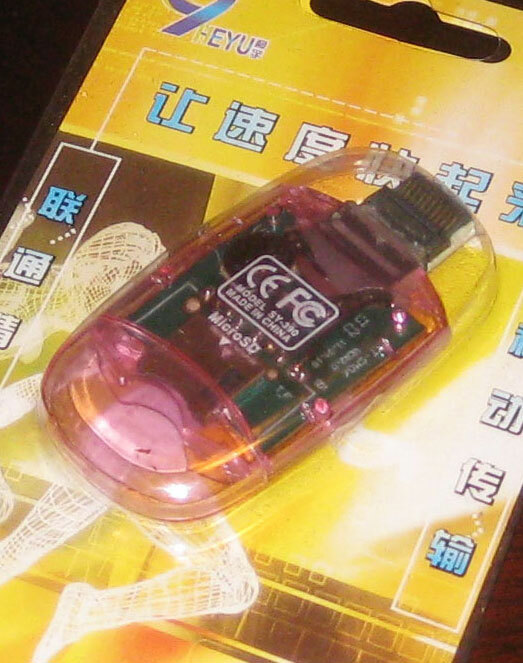 When I was playing around with Dreamcast hacking early last year, I became aware that there is such a thing as an SD card adapter for the DC that plugs into the port normally reserved for the odd DC link cable. Of course I wanted to see what I could do with it. 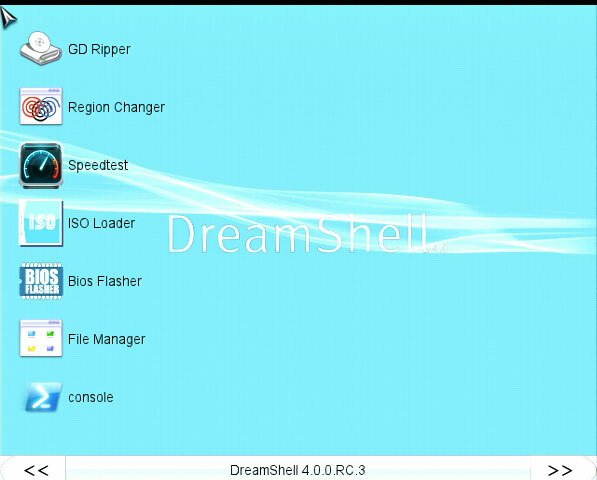 The primary software that leverages the DC SD adapter is called DreamShell. Working with this adapter and the software requires some skill and guesswork. Searching for these topics tends to turn up results from various forums where people are trying to cargo-cult their way to solutions. I have a strange feeling that this post might become the unofficial English-language documentation on the matter. What can you do with this thing? Undoubtedly, the primary use is for backing up (ripping) the contents of GD-ROMs (the custom optical format used for the DC) and playing those backed up (ripped) copies. Presumably, users of this device leverage the latter use case more than the former, i.e., download ripped games, load them on the SD card, and launch them using DreamShell. However, there are other uses such as multimedia playback, system exploration, BIOS reprogramming, high-level programming, and probably a few other things I haven’t figured out yet. I put in an order via the dc-sd.com website and in about 2 short months, the item arrived from China. This marked my third lifetime delivery from China and curiously, all 3 of the shipments have pertained to the Sega Dreamcast. I thought it was very interesting that this adapter came in such complete packaging. The text is all in Chinese, though the back states “Windows 98 / ME / 2000 / XP, Mac OS 9.1, LINUX2.4”. That’s what tipped me off that they must have just cannibalized some old USB SD card readers and packaging in order to create these. Closer inspection of the internals through the translucent pink case confirms this. Option #2 worked for me. It contains a CDI disc image and the DreamShell files in a directory named DS/. 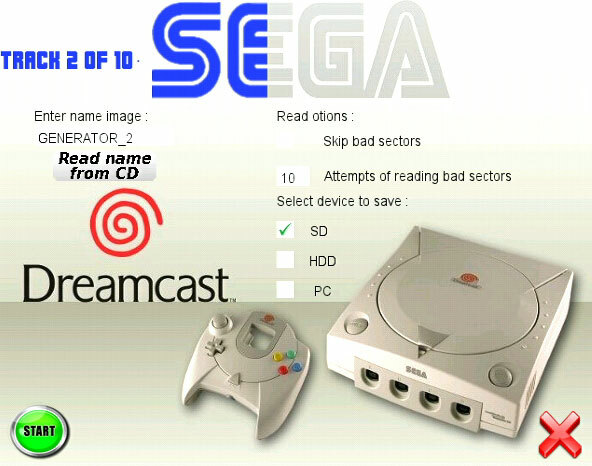 Burn the CDI to a CD-R in the normal way you would burn a bootable Dreamcast disc from a CDI image. This is open-ended and left as an exercise to the reader, since there are many procedures depending on platform. On Linux, I used a small script I found once called burncdi-dc.sh. Then, copy the contents of the DS/ folder to an SD card. As for filesystem, FAT16 and FAT32 are both known to work. The files in DS/ should land in the root of the SD card; the folder DS/ should not be in the root. At first, I was supremely skeptical of the idea that this SD adapter could perform speedily enough to play games reasonably. This was predicated on the observation that my DC coder’s cable that I used to use for homebrew development could not transfer faster than 115200 bits/second, amounting to about 11 kbytes/sec. I assumed that this was a fundamental limitation of the link port. In fact, I ripped a few of my Dreamcast discs over a decade ago and still have those rips lying around. 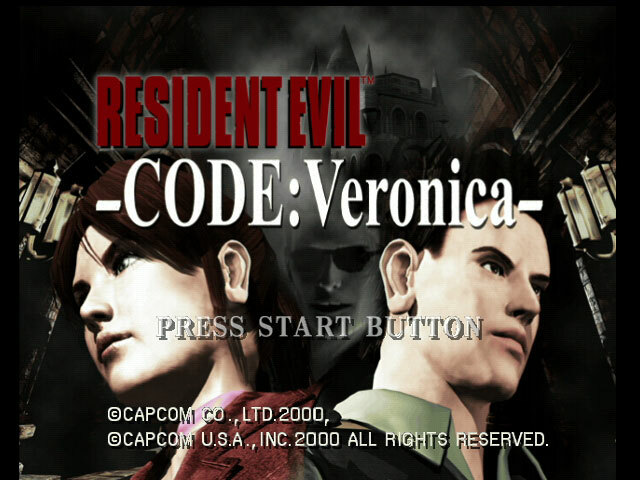 So I copied the ISO image of Resident Evil: Code Veronica — the game I personally played most on the DC — to the SD card (anywhere works) and used the “ISO loader” icon seen on the desktop above to launch the game. The opening FMV plays at full speed. Everything loads as fast as I remember. I was quite surprised. Digression: My assumptions about serial speeds have often been mistaken. 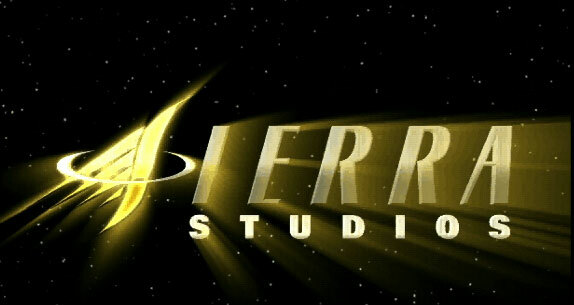 10 years ago, I heard stories about how we would soon be able to watch streaming video on our cell phones. I scoffed because I thought the 56K limitation of dialup modems was some sort of fundamental speed-of-light type of limitation for telephony bandwidth, wired or wireless. This is probably more representative of the true adapter bandwidth as reading and writing is a good deal faster through more modern interfaces on PC and Mac with this same card. Look at the other options on the speedtest console. Hard drive? Apparently, it’s possible, but it requires a good deal more hardware hacking than just purchasing this SD adapter. Enter a name for the disc (or read the disc label), select the storage medium, and let it, well, rip. It indicates which track it’s working on and the Sega logo acts as a progress bar, shading blue as the track rip progresses. I’m finally, efficiently, archiving that collection of Sega Dreamcast demo discs; I’m hoping they’ll eventually find a home at the Internet Archive. How is overall ripping performance? Usually about 38-40 minutes to rip a full 900-1000 MB. That certainly beats the 27-28 hours that were required when I performed the ripping at 11 kbytes/sec via the DC coders cable. That’s when it can come in handy to have 3 DC consoles (see?! not crazy!). Learning to use it is a game in itself. There is also a plain console to interact with (better have a physical keyboard). There are numerous file manipulation commands and custom system interaction commands. I see one interesting command called ‘addr’ that looks useful for dumping memory regions to a file. A Lua language interpreter is also built in. I would love to play with this if I could ascertain whether DreamShell provided Dreamcast-specific APIs. I have 3 Dreamcast consoles, affectionately named Terran, Protoss, and Zerg after the StarCraft II stickers with which they are adorned. Some seem to work better than others. Protoss seemed to be able to boot the DreamShell disc more reliably than the others. However, I was alarmed when it couldn’t boot one morning when it was churning the previous day. I think the problem is that it was just cold. That seemed to be the issue. 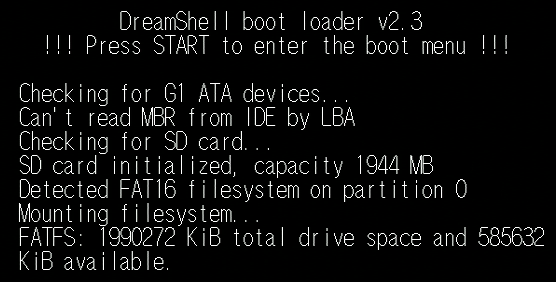 I put in a normal GD-ROM and let it warm up on that disc for awhile and then DreamShell booted fine. So that’s my piece of cargo-culting troubleshooting advice. Thanks man. Just got the unit and hope to bring back some memories. Hi! Great article, I’ve been wanting to get an SD reader for my Dreamcast or a while, but dc-SD.com seemed kind of.. dead. Did it look the same when you bought your adapter? @Thomas: It’s an odd site, to be sure. It’s an e-commerce site set up to sell exactly 1 product (okay, it looks like they sell some supporting cables too). If you have the $40-$50 to spare (I forget how much the shipping from China costs), send your request (and money) into the ether and maybe, just maybe, you will receive a shiny DC SD adapter about 2 months later like I did.